Kart Master Black is designed to be use as a flat bed cart or as an upright hand truck. This Kart can carry up to 500 lbs. on the nose plate as an upright hand truck. 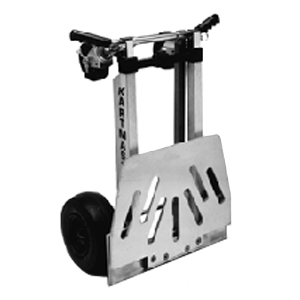 Handle of upright kart revolves to position under kart when in the flat bed mode.